Wonderful single story home with 4 bedrooms and 2.5 baths. Great room style dining, kitchen, family room filled with light. The beautifully updated kitchen features granite counters, double ovens, gas cook-top, large stainless steel sink, newer refrigerator and a breakfast bar. Newer flooring, newer interior paint, recessed lighting, inside laundry room and so much more. Private front bedroom with half bath makes an ideal au pair, guest or in-law suite. Amazing park-like back yard. Behind the back fence is more yard area that is perfect for a garden. Walk to elementary school. 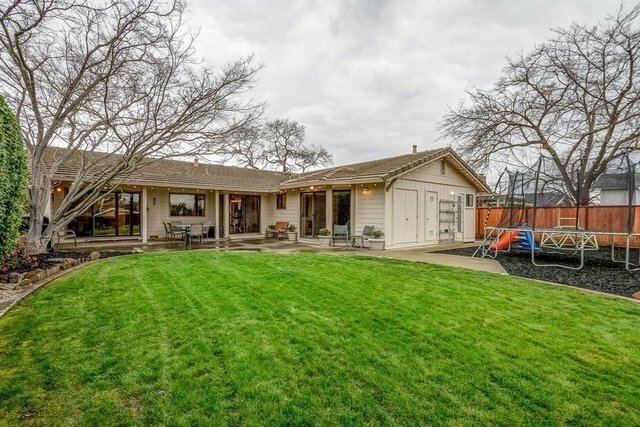 Close to downtown Pleasanton; enjoy the Saturday Farmer's market, shops, restaurants other seasonal activities.